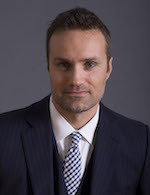 Grant Dwyer is a Miami Criminal Defense attorney who knows the law and knows how the courts work. Each case is different, each judge is different, and each prosecutor is different. Grant Dwyer makes it his business to know them all, in order to mount the best defense to make your case go away. Before founding his own firm, he worked at Miami’s premiere civil trial firm in the heart of the financial district, specializing in Personal Injury, and before that spent years at the Miami Dade Public Defenders Office, where he defended every type of crime. He tried over thirty cases and, from trespassing to murder charges, was undefeated in front of juries. He has gotten Not Guilty verdicts on batteries, aggravated batteries, burglaries, grand thefts, cocaine sales, robberies, cannabis sales, and all kinds of felonies and misdemeanors. Featured in The Miami Herald and Univision for his legal knowledge and commentary, Mr. Dwyer will handle your case professionally for the best result possible. Mr. Dwyer has lived everywhere from New York to Chicago to Los Angeles, as well as in various Latin American countries, from the Dominican Republic to Mexico. He speaks fluent Spanish and makes his home in Miami Beach. He received degrees in Philosophy as well as his Juris Doctor from the University of Notre Dame and remains active in alumni associations of the Fighting Irish. In between his degrees at Notre Dame, he was a classroom teacher in New York City, where he completed two other graduate degrees, Masters in Philosophy and Education. It was his time in the classroom, he believes, that prepared him well for presenting your case to a jury. Mr. Dwyer is a member of St. Patrick's Church, a member of the Florida Association of Criminal Defense Lawyers, the Dade County Bar Association, the Miami Dade Justice Association, a former Jesuit seminarian, and a father. He is a fighter who knows the law. If your case needs a strong advocate, contact us today. Our fees are all-inclusive and flat, with no hidden costs. Your freedom is worth it. Mr. Dwyer, volunteering on a Pro Bono basis, represented a client charged with domestic violence, L.B., whose child’s father had secretly videotaped them fighting. Using Florida’s laws against secret recording, Mr. Dwyer had all the charges against L.B. dismissed. Mr. Dwyer is a former Jesuit seminarian and a member of St. Patrick’s Church on Miami Beach.